Although the ski season is well underway in Summit County, we typically get quite a bit of new snow in March, so there's still plenty of time to hit the trails. 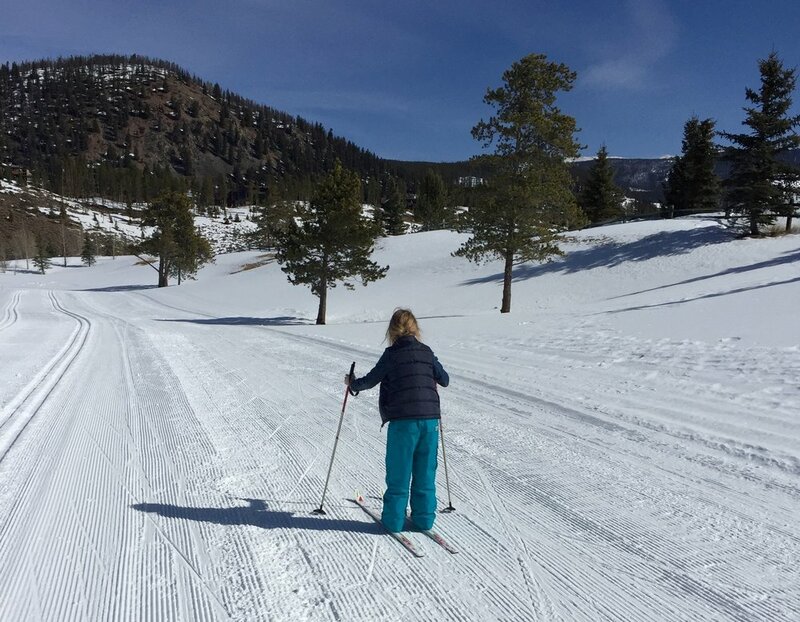 If you and the family are planning a vacation to Summit County, Colorado, but are unsure about where to go cross-country skiing, here are a few ideas. First of all, you can go for an easy nordic ski on several of the county's recreational paths. In Frisco, you can also venture off the flat terrain into the woods onto several trails that are almost always packed down by skiers and snowshoers shortly after any new snow. Breckenridge Nordic Ski Center – With 18+ miles of cross-country and skate skiing trails, 11+ miles of scenic snowshoe trails, and 1,300 smooth and well-packed acres of terrain to cross, it's no wonder visitors and thrill seekers flock each season to ski the trails in Breckenridge. They also offer self-guided snowshoe trails for dogs. Just make sure your dog is friendly and on a leash. If you are not an expert skier, no worries, because lessons are available according to your skill level. Gold Run Nordic Center - A golf course in the summer, Gold Run is located just minutes away from the Breckenridge Nordic Ski Center. Boasting 18+ miles of impeccably groomed trails for modern cross-country skiing (and skate skiing), Gold Run offers visitors a host of skiing activities and programs that will truly make your vacation a lasting experience. Frisco Nordic Center – Located along the shores of Lake Dillon are 28 miles of beautifully manicured terrain surrounded by picturesque views of snow-capped mountains. Skiers from everywhere -- beginners and experts alike -- come to enjoy one of the nicest places in Colorado for cross-country skiing. The Frisco Center also provides dog trails as long as your pet is on a leash. Some of the conveniences offered by the center include equipment rental, ski and apparel sales, cross-country lessons (skate or classic), and ski tuning. If you're strolling through town and want more information about the Nordic Center, stop in at the Frisco/Copper Visitor Information Center, located across the street from our shop on Main Street. Keystone Nordic Center – Known for their challenging hills and long descents, Keystone offers skiers nine miles of groomed cross-country trails that make their way through naturally divided terrain. And if that's not enough, then imagine the lure of 35+ miles of un-groomed backcountry skiing trails for adventurous skiers seeking adrenaline pumping danger. But beware: if you're going to ski the backcountry be sure to consult the experts first! Hire a guide and make sure you have all the necessary equipment to take with you when you go. So depending on your level of excitement, a visit to Keystone might be just what you need. Cross-country skiing is a great workout and can be an enjoyable activity for the whole family. Whether you're an experienced skier or just wanting to try it for the first time, there are plenty of options to choose from here in Summit County. We love all the seasons here in Summit County, but fall might just be our favorite. When the air starts to get a little crisp and cooler weather begins to set in, you simply have to take in all the incredible fall colors. The leaves have held on this year and there is still a little color to be seen, but prime viewing usually happens from mid-September through early October. We also can have snow in September and October, making some of our fall days feel like winter! But usually after a few days the weather turns warmer again and it truly feels like autumn. (Wear layers, though! Nights and mornings can be really cold!) Bluebird skies make for perfect hiking conditions. And there are so, so many hikes to choose from. One of the best hikes for enjoying the changing leaves near Summit County is McCullough Gulch just south of Breckenridge. This incredible hike features stunning views of Quandary Peak, and it features a lake and a waterfall. Remember your layers since it can be windy near the lake. Don't forget to pack snacks and plenty of water. The hike is uphill, but not too steep, and it has plenty of places where you can stop and rest. Of course, your return will be downhill and it's always nice to have the finishing leg of the hike be a little easier. Wildlife is commonly spotted, so be sure to bring a camera in case you glimpse a mountain goat, and of course you'll want it along anyway so you can take plenty of photos of the fall foliage. If you capture a magical moment on your hike, we have plenty of frames--like this one made in Colorado from beetle kill wood. 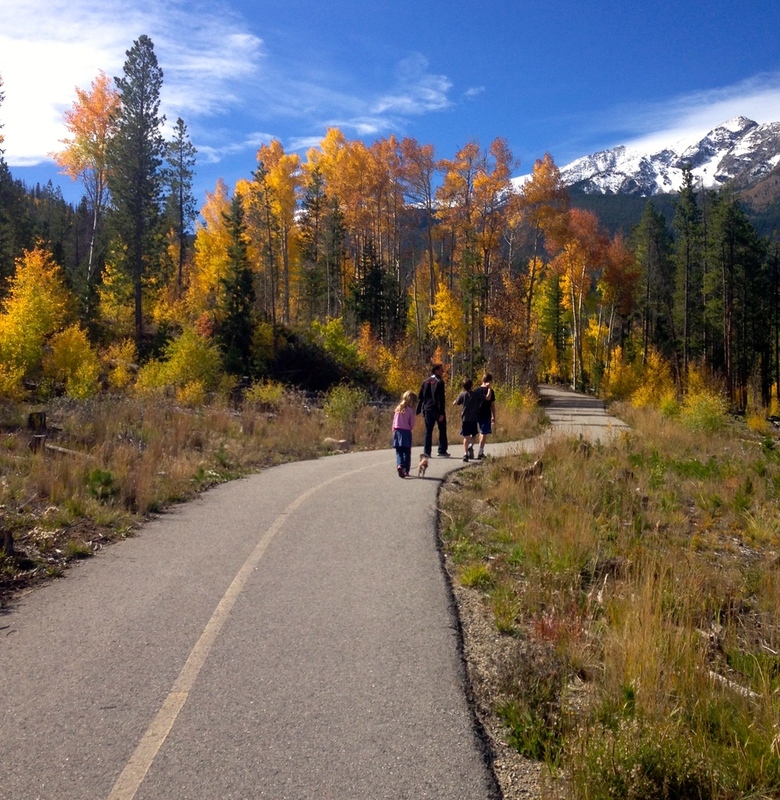 There are plenty of great trails in Frisco and Silverthorne as well as Breckenridge. On a glorious fall day, you really can't go wrong in Summit County. Happy hiking! 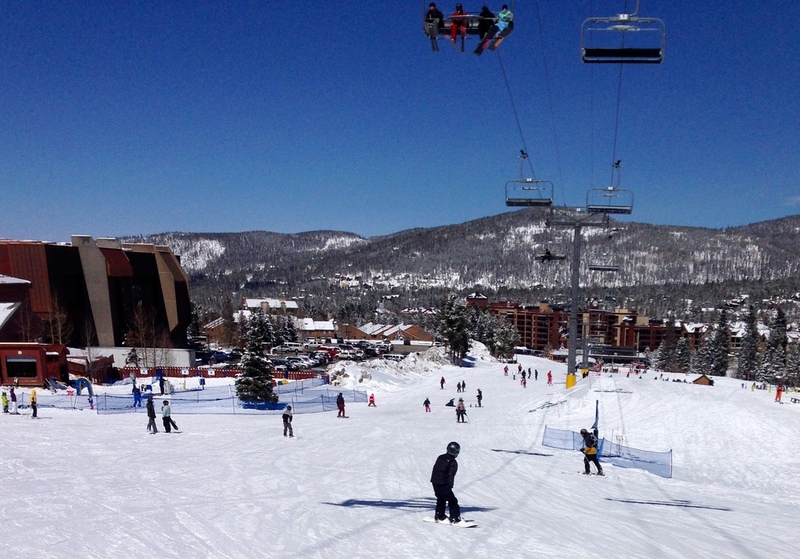 Spring Break is a great time for families in Summit County, Colorado. In some vacation destinations, of course, Spring Break is a time for students to party and be wild. We're not saying there isn't any partying going on here in Summit County. But that's definitely not the only thing this area has to offer. In Colorado, especially Summit County, Spring Break can be a chance for the whole family to have fun together. The resorts, and Breckenridge in particular, may attract more of the college crowd, but places like Frisco, Dillon and Silverthorne tend to be a little quieter, calmer, and therefore excellent for families to use as a home base. March in Colorado is a beautiful time. We sometimes get our biggest dumps of snow during March. While it may technically become spring, from our perspective winter is not quite over, and there's still usually plenty of snow for skiing, snowboarding, sledding, snowmobiling, and ice skating. However, with spring on the way, there's also more sunshine and warmer temperatures. In Silverthorne, the average high temperature in March is 42° and the average low temperature is 14°. The average snowfall is 14 inches. In Dillon, the average high temperature is 39° and the average low temperature is 7°, with an average snowfall of 22 inches. In Frisco, the temperature is expected to range from the 30s to the 50s this month. Don't forget the sunscreen and sunglasses! That sun is intense, especially when it's reflecting off the bright snow. 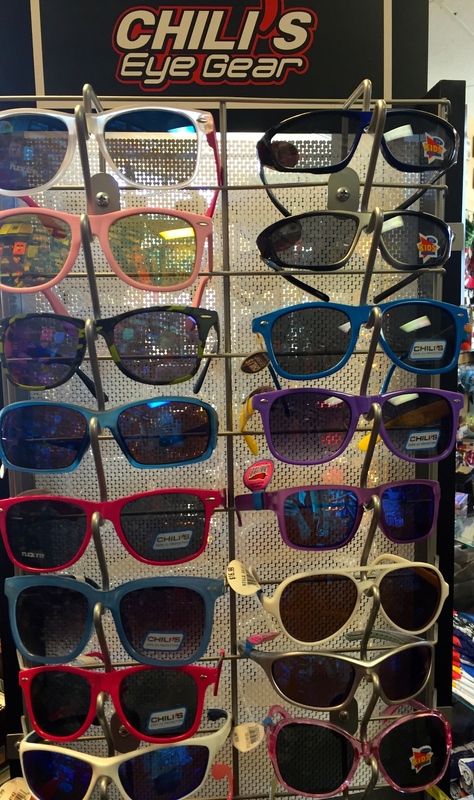 Plenty of people do forget, which is why we always carry Colorado-made sunscreen, and a wide selection of Chili's eyewear for kids and adults. Want to make sure the kids don't spend a week with their brains turned off? There are plenty of fun and adventurous ways to stimulate young minds. Go for a family hike and identify paw prints in the snow. Afterwards, share a cup of hot cocoa and some fresh-baked cookies. (If you don't feel like baking, Summit County has a ton of great restaurants, coffee shops and cafes.) Go ice fishing on Lake Dillon. Ice skate at Keystone Lake, then watch the Zamboni fall into the lake. For a fun family outing, go on a sleigh ride. Visit historical Montezuma. Watch skijoring in Frisco, or maybe try it yourself -- skiing pulled by trained dogs. There are plenty of museums that bring to life the rich history of the area. Summit County Libraries offer a great place for the family to relax and read after a busy day of activities. There's always plenty to see and do in Summit County, so bring the family and spend Spring Break in one of our B&Bs, motels, or hotels. When it comes to celebrating the big holidays, any major city or town will have fun events happening. Christmas is Christmas no matter where you are in the country. However, minor holidays, like St. Patrick's Day, can be celebrated very differently depending on where you are. Some towns don't have any official events to celebrate the Irish in all of us. Other cities go all out with parades, pub crawls and plenty of wild Irish fun around every corner. Need something green to wear? 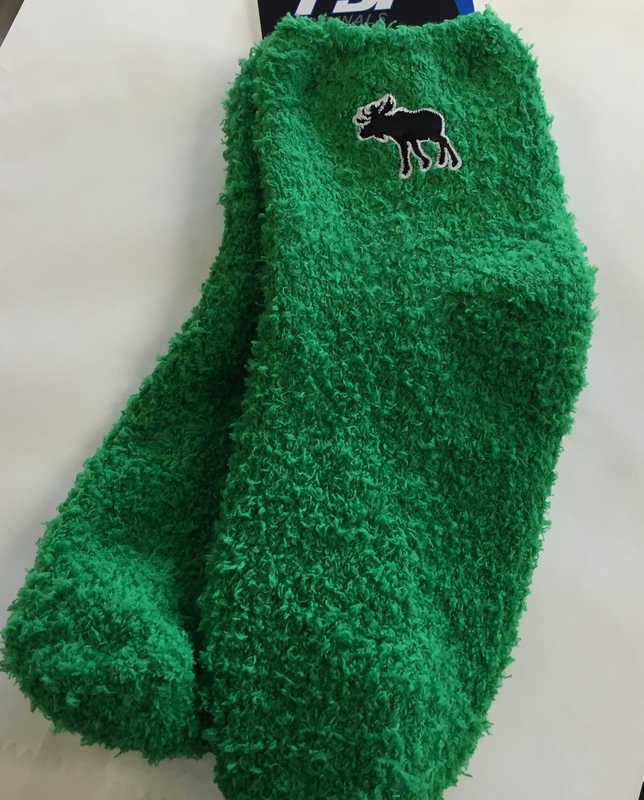 How about these fuzzy moose socks? Be sure to wear your green prominently to avoid friendly pinches, and book your hotel early if you want to enjoy St. Patrick's day in the sun and snow. It so happens we just got tons of new snow, and we are expecting some sunshine the next couple of days. So it's a great time to come visit! If you need a little something green to enhance your St. Patty's outfit, we have green socks, green t-shirts, and plenty of green jewelry! Snowy weather offers the perfect excuse to cuddle up with a special someone in front of a fire, enjoying a seasonal movie and a cup of hot cocoa or glass of wine. But winter is also when Summit County comes out to play. If you're a couple who prefers to pursue adventure, there are tons of fun winter activities to do together in Frisco, Breckenridge, Keystone and the rest of Summit County. Check out these ideas for some creative wintertime dates. From mid-November through mid-April, Frisco-based Two Below Zero offers dinner sleigh rides. The 2 1/4-hour event features a scenic sleigh ride, a three-course, home-cooked meal, and live entertainment. The sleigh company even offers vegetarian and gluten-free options with advance notice, and wine and beer is available for purchase. If you're not in the mood for dinner, you can also enjoy a scenic ride with hot cocoa (spiked with Peppermint Schnapps for adults). And for a special fee, schedule a private, 45-minute sleigh ride that seats up to four -- maybe a romantic double date is in your future? Whether it's a sunshiny day or a frosty winter night, Frisco's Main Street has a small-mountain-town charm that's hard to beat. We leave our holiday lights up for months, because it usually remains a winter wonderland throughout much of April. Frisco also hosts events throughout the year, like Wassail Days, when businesses all over town serve up hot spiced cider, known as wassail, for 10 days each December. Each business has its own secret recipe, and visitors are encouraged to try at least 12 to earn a commemorative mug. Along with the wassail, you'll enjoy events like a tree-lighting ceremony on historic Main Street, soup tasting and ugly sweater contests. And, of course, walking between the shops, restaurants and galleries that offer wassail is the perfect time to get in some hand-holding. With four Nordic centers in Summit County, there are miles upon miles of cross-country skiing and snowshoeing trails. Unlike snowboarding and downhill skiing, these two slower sports offer plenty of opportunities to pause and take in the gorgeous scenery of winter -- preferably together and in a secluded location. Pack a thermos of hot cocoa and enjoy a chilly outdoor adventure at the resort of your choice. When you've had enough of the winter air and solitude, head to a nearby restaurant at one of the resort centers or nearby Frisco or Breckenridge to warm up. Downtown Breckenridge is another charming mountain locale, just a short 15-minute drive from Frisco. A block from Main Street, the Breckenridge Arts District is exploding with events, workshops and performances, providing an ongoing schedule of activities that could make for an excellent date. Every year in late January and early February, the International Snow Sculpture Championships are held in Breckenridge. Artists' incredible creations grow out of the snow to create a surreal, fascinating outdoor gallery. In recent years, the competition has coincided with Breck Create's Fire Arts Festival, a four-day exhibition by fire-themed performers, artists and sculptors, musicians and artisans. After a fun day of activities, it's time to relax and enjoy a delicious meal at one of Summit County's many restaurants. If you happen to be in town for Valentine's Day, be sure to make dinner reservations in advance. Many places have special menus just for Valentine's. At Copper Mountain's Solitude Station you'll find a romantic selection of fine wines and cheeses, caprese, a delicious buffet dinner and miniature desserts. Dinner is served with one alcoholic drink or hot cider and live music. Then, ski back down the mountain to enjoy an evening in the village. The natural beauty, snow-capped peaks and historic buildings make Summit County, Colorado a romantic setting for couples to take a break from the hectic pace of life and have fun together. These are just a few ideas for romantic winter dates--the possibilities are pretty much endless! There's something undeniably romantic about slipping away to a mountain town for the weekend. When you pair the charm and beauty of the Rocky Mountains with a romantic holiday like Valentine's Day you simply can't go wrong. Add your photos to a Frisco frame as a reminder of your romantic getaway. Valentine's Day in Frisco, Colorado is magical. Frisco is home to a couple of beautiful bed and breakfasts, the Frisco Lodge and the Frisco Inn on Galena. Neighboring mountain towns also have many bed and breakfasts to choose from, or you could find a condo rental or hotel room nearby. You can spend your day skiing, sledding, snowshoeing or ice skating in multiple locations all over Summit Country. You could rent fat tire bikes, fly down a tubing hill, try out snowkiting, ride on a dog sled or go snowmobiling. Don't forget that the Keystone ski resort offers night skiing as well, in case you want to take in the stars while you fly down the slopes. For extra romantic points, you can even arrange for a horse-drawn carriage ride or sleigh. Sleigh rides are available in Frisco and Keystone, or go for a carriage ride in the charming town of Breckenridge. Remember that for Valentine's Day you will want to plan ahead and book dinner reservations, lodging accommodations and some activities with plenty of notice. Of course, the best thing about spending Valentine's Day in the romantic mountain town of Frisco is the memories you will make. You don't have to do anything elaborate or spend a lot of money to enjoy all that Frisco and the surrounding area has to offer. Lounge in a coffee shop, go for a walk on the rec path, or just stroll up and down Main Street and soak in the charming atmosphere of downtown Frisco and the snow-capped mountain peaks. Lake Dillon is a beautiful reservoir in Summit County, Colorado, right off of I-70. It has roughly 26 miles of shoreline, and beautiful mountain views in every direction. Many people come to this area in the winter for skiing and snowboarding. But Lake Dillon offers a variety of wonderful activities all year long. Yes, you can take sailing lessons in Colorado! It is a common and rather beautiful site to watch the sails floating across the lake, with the Rockies as a backdrop. Colorado isn’t typically known for its lake fishing, but Lake Dillon has large Rainbow trout, Brown Trout and Kokanee salmon. You can fish from the shore, rent a boat, hire a guide or there are several launch ramps if you bring your own boat. In the winter, you can also try ice fishing. Dress for the weather! And remember to purchase a valid Colorado fishing license. Stand up Paddle boarding, or SUP, has become a popular water activity in recent years. It seems like it might be difficult to balance, but the boards are wide and it is actually pretty easy to learn. Lake Dillon offers a beautiful place to experience lake kayaking or SUP, and rentals are available at both Frisco and Dillon marinas. It can be incredibly relaxing to be out on the lake with your board or kayak, surrounded by mountains. The water is usually the calmest in mornings and evenings. Summit County has a fantastic interconnected recreational pathway, including a fun and scenic 18-mile ride that circles Lake Dillon. Expect some hills, but overall it's not as strenuous as you might expect in the mountains. The path does follow roads for part of the way. If you're not up for any major hills, the section between Frisco and Dillon is one of the easier stretches and still offers great views. 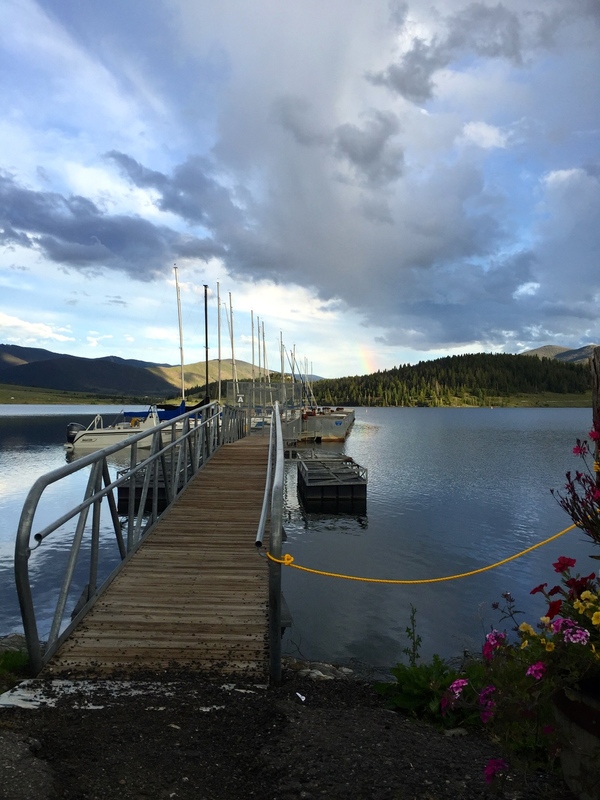 During the summer months, The Frisco Bay Marina hosts the Island Grill Restaurant right on the shores of Lake Dillon. On Friday evenings they offer live music. Dillon Marina also has the local favorite, Pug Ryan's Lakeside Tiki Bar. The Tiki Bar is located right in the marina, with gorgeous views of the lake and the mountains. On Friday and Saturday evenings you can catch a free concert at the amphitheater. We hope you enjoy your stay in Frisco and the surrounding area. Be sure to come see us and pick up a Colorado memento from your trip. Frisco may seem like just another small Colorado mountain town at first glance, but the fun that awaits families is truly one of a kind. If you are planning a trip, or attending an event in the area, there are many fun options for kid-friendly fun. With so many ways to keep your kids entertained (and educate them in the process), the biggest challenge will be choosing what to do first. Frisco's rec path is easy for kids and bikes, and accessible for strollers, yet scenic enough to feel like you're in the woods. 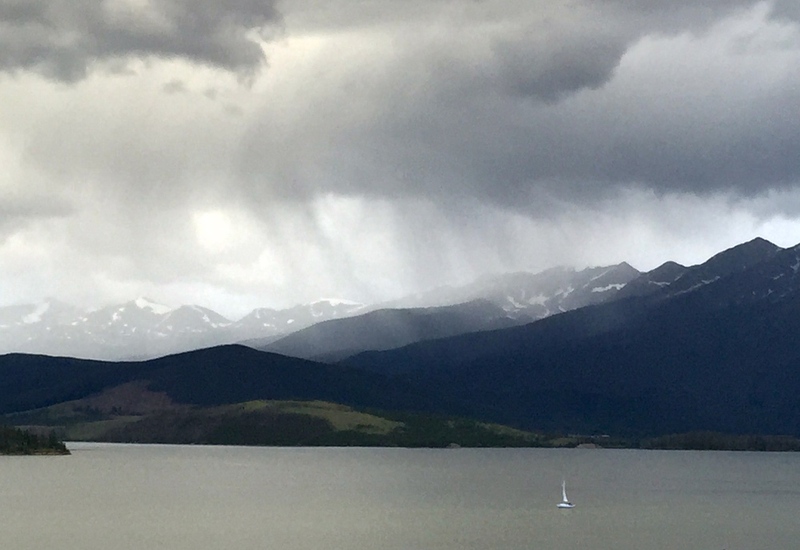 Dillon Reservoir is a must-see stop during summer. This body of water provides endless amounts of entertainment in the form of boat rentals and lessons, fishing pole rentals, a small sandy beach and a scenic water taxi which travels between the Dillon Marina and Frisco Bay Marina. If you take the taxi, make sure to stop off and enjoy the park overlooking the reservoir on the Dillon side. The kids can play while adult visitors sit back and enjoy the breathtaking views. If you are looking for adventure, look no further than the Frisco Adventure Park. The park offers snowshoeing, cross country skiing, sleigh rides and tubing in the winter. In summer there's a skate park, bike park, disc-golf course and wagon rides, in addition to hiking and camping. Frisco also is home to a great recreational path where you can ride bikes or walk in several directions, and there are hiking trails easily accessible from right in town. The Visitor Information Center at the corner of Main and Third Avenue is a great resource for trail maps, rentals, shopping, dining and events. After taking in all that the mountains and lake have to offer, it's time to relax and enjoy a stroll down Frisco's Main Street. Packed with unique stores and restaurants, there is truly something for everyone. Stork & Bear Co. and Foote's Rest Sweet Shoppe are a couple of perennial favorites with the younger crowd, and Little Bears Boutique carries new and consignment clothing and gear for little ones. Frisco is also home to a free museum right in the heart of town, the Frisco Historic Park & Museum. Open year-round, it is the perfect place to meander with the kids and explore mountain life in times past. Featuring a schoolhouse, chapel, a kid's zone, and many historical artifacts that have been donated over the years, the museum is a great place to stroll around and leisurely take in history. Whether vacationing in Frisco or merely visiting for an event, there are plenty of options for families to make the most of their time in Colorado, any time of year!